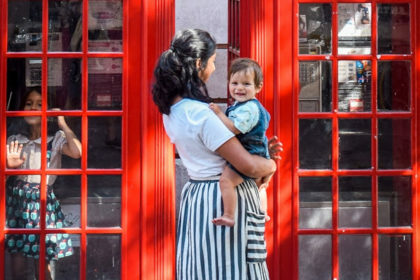 London is notoriously expensive, especially if you’re traveling with kids. London accommodation is especially pricey, and the food is stereotypically outrageously priced. You’d think this would all combine to make a terrible place for a family. Good thing there are so many amazing ways to travel on a budget in London! 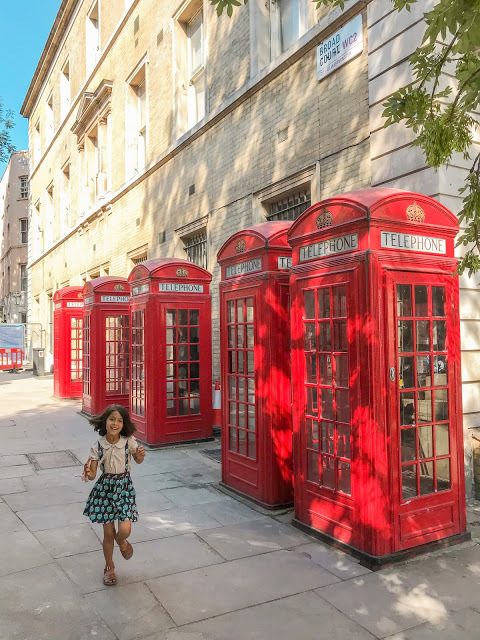 I’ve talked before about how London with kids is really amazing, and that remains true even when on a budget. The last time Dan and I were there was 9 years before this past trip…we’d been married just over a year and I’d just quit my job to start grad school, and Dan had just finished school and was about to start a job. That meant we had basically no money, so London felt astronomical. This time, we had slightly more money, had been in Norway the week before (where it is EVEN MORE expensive), and also had a few tricks up our sleeves. For reference, we were there in the beginning of July – the height of tourist season. Here’s what we spent for our family of 6 while in London for 6 days! This was one of our biggest categories. Even though we were flying from within Europe, it is pretty pricey to fly into London. We flew in from Copenhagen, and it cost us $549.11 for tickets for our whole family, plus one checked suitcase. This number does NOT include our rental car that we picked up just before leaving the city, and used to drive through the UK for the next week. It didn’t seem quite right to include that whole $700 expense in the London numbers, but I do want to be transparent that these numbers do not include transportation to leave London. This is the thing that SAVED us the most money in London. We have the Chase Marriott credit card (which we LOVE, and have had for years and years), and we had enough points to cover a stay at the Marriott County Hall hotel. We were super grateful. We did have to pay for an upgraded room, but that was still soooo much cheaper than the literal thousands it could’ve cost us to stay anywhere even remotely close to the city center during the middle of summer. We loved the location of this hotel – it’s right across Westminster Bridge from Big Ben, and right near the London Eye. Plus, I was very very into the wallpapers in this hotel (including one wall with classic book covers). I was actually surprised that this number wasn’t more. We loved perusing both Borough Market and Portobello Market, and while those are less expensive than a fancy, sit-down restaurant, picking up different things from different vendors does add up. We also did the afternoon tea for our whole family at Fortnum and Mason. So I was pretty pleased that we averaged under $90/day for our family. That said, we did not do a lot of full sit-down meals. We tended to do quicker things like markets, or picked up some savory pasties or pies. One other place for which we paid was the London Transport Museum, which was worth every pound – it’s just such a fun, fun museum for kids and adults alike. We loved seeing all the different forms of British transportation, and learning some history along the way. The last little bit went to Wimbledon tickets, for which we lucked into a very very lucky deal. Story another time. This was quite a bit higher than our normal souvenir spend, but that’s because we picked up a gorgeous 100+ year old copy of a book written by Randolph Caldecott, who once lived in the bookshop where we purchased it. Also, when we were at Wimbledon, we picked up a new tennis bag for my dad, who has been a major tennis fan (and loves to play himself) for many decades. It was so special being able to get that for him. Lastly, we picked up a couple little ornaments, as well as a terrific museum artwork sticker book at the National Gallery. Let’s not forget Airbnb! I’ve written a couple of posts on how we do Airbnb and how it offsets our travel. It was helpful in London, as well! After cleaning fees, we earned just over $1100 during this time, which was really helpful. I don’t know about you, but a little over $100/day for a family of 6 in London sounds pretty darn good right now. Who is ready to book tickets with me?